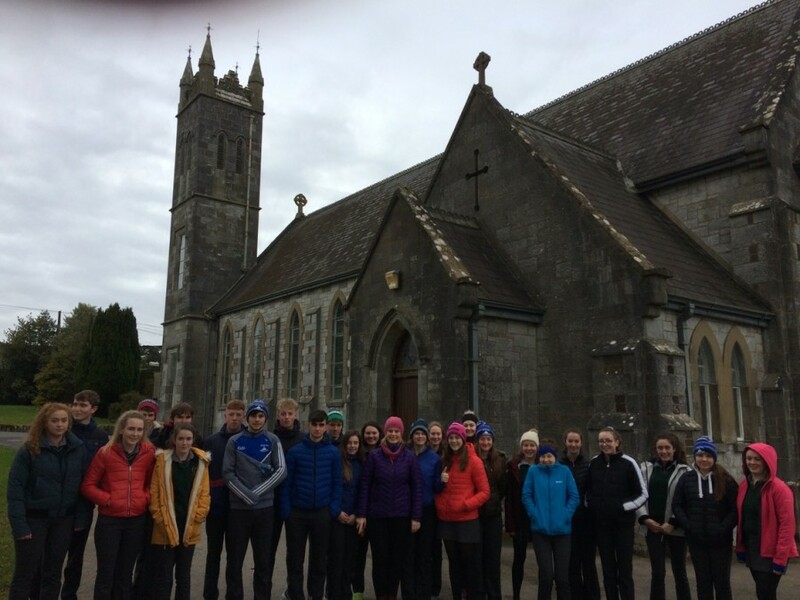 On Wednesday 7th February 25 students from Ms McGann’s5th year LCVP class left the Friary at 8.30am to go on an enterprise trip around West Waterford. 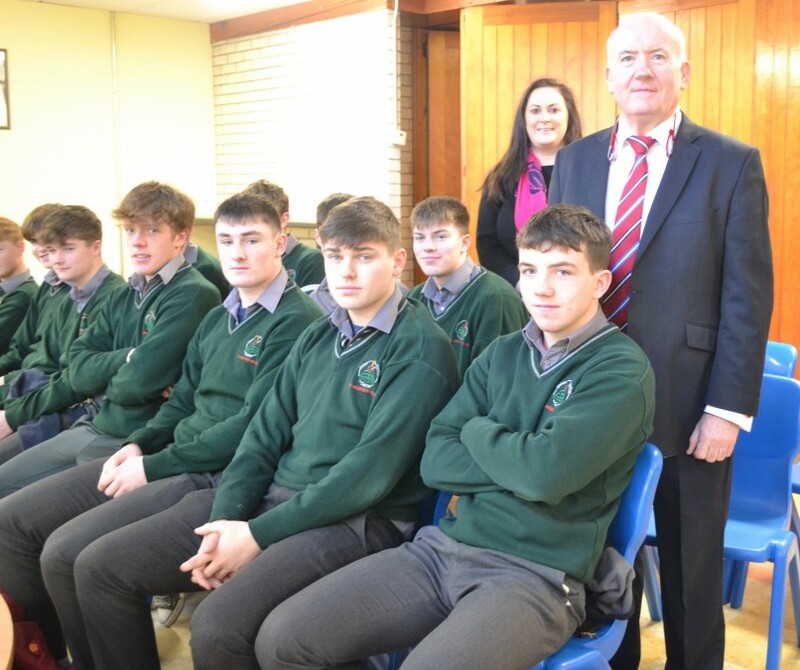 Paul Cremin of Suir Engineering Ltd with Senior Cycle students having given then a talk on careers in engineering and electrics open to them at Suir Engineering. Ms E Moore Career Guidance included in photo. 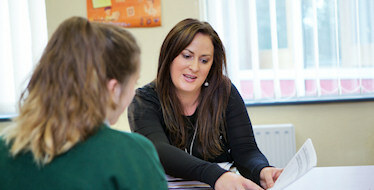 6th year students have set up their applications for college courses in Ireland and in leading European colleges individually with E.Moore. 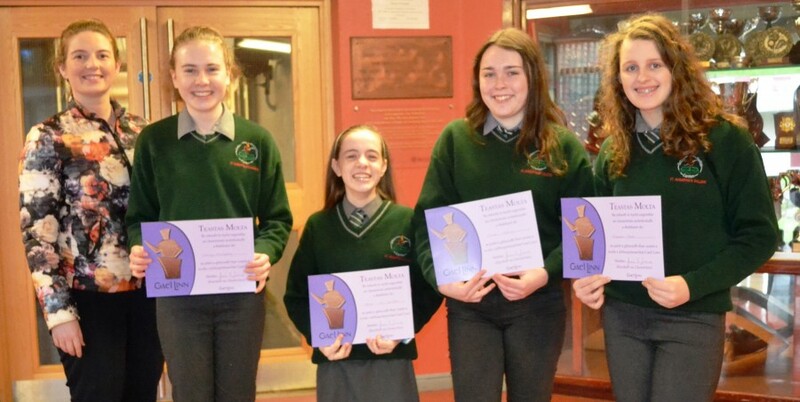 Ms Aoife Walsh with students; Jenny McCloskey, Róisín Ni Chadhla, Aimée Keating and Elizabeth Power. 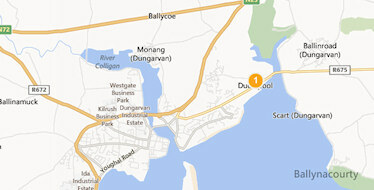 Bhí an dara babhta den chomórtas seo ar siúl ar an 11ú d’Eanair i bPobalscoil Eoin Baiste, An tOspidéal, Co. Luimnigh. 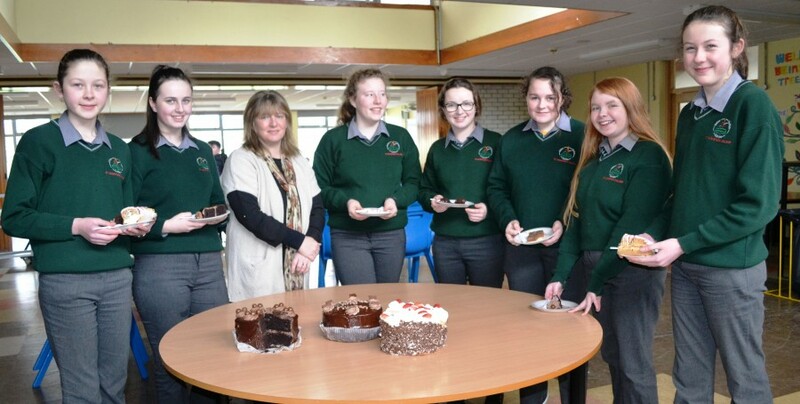 2nd Year German Students with their teacher MrsCaroline Knightly, enjoy Kaffee und Kuchen, the German tradition of Coffee and Cake. 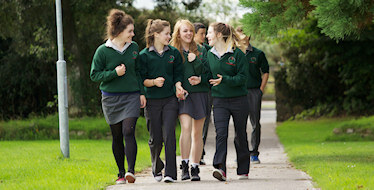 from left, Rhona Drohan, Lara Prunty,Róisín Whelan, Lauren Maher, Caoimhe Lorgan, Nicole Morrissey, and Róisín Prunty. We wish to extend our deepest sympathies to Mary Byrne (domestic staff member) and family on the recent passing of husband and father, Brian. Ar dheis Dé go raibh sé. 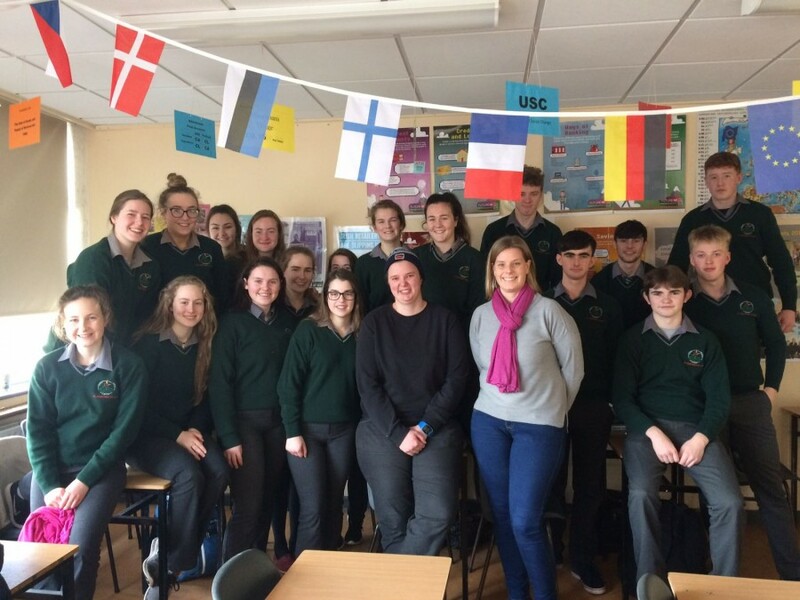 Suzette Bliss of Cafe Bliss Abbeyside addressed 5th Year LCVP Students. She gave a very informative talk on setting up a cafe in our local area. 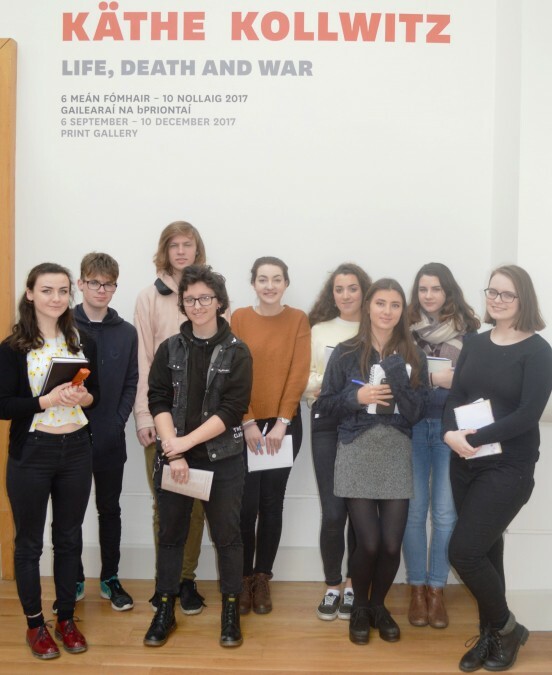 The students will prepare a summary report for their Leaving Certificate LCVP Portfolio based on what they learned from the presentation.